Last year, freelance researchers Aaron Calhoun and Ryan Orlinski helped me to examine a decade’s worth of college football regular seasons, 2003 through 2012. We used several statistical categories and comparisons in the course of our research. One example appears here. I’ve just completed a look at the 2013 season, so I now have 11 seasons’ worth of material to present to you. 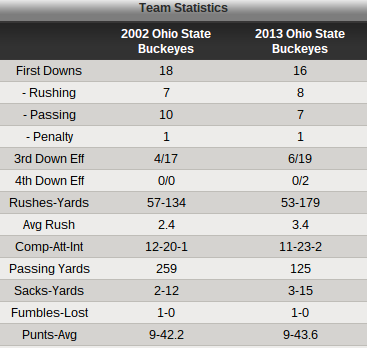 What follows is a look at FBS-versus-FBS regular season games dating back to 2003. Some numbers might strike you as newsworthy or relevant, while other numbers might turn out to be teases and nothing more than empty calories. At the very least, you have a lot of numbers to look at, helping you to while away these final weeks before college football game action returns. In today’s installment of college football history since 2003, we’ll look at home-team records and various forms of comebacks. Tomorrow, we’ll provide statistics on scoring margins and overtime records. For the 2003 season, 68 box scores weren’t found, 49 of them from weeks 14 and 15. As a result, go-ahead fourth-quarter scores in three games could not be pinpointed at an exact scoreboard time. In the 2004 season, 27 box scores weren’t located. In the 2005 season, 12 box scores weren’t located. Double-digit comeback? Check. Tiebreaking, game-winning score in the last two minutes? Check. 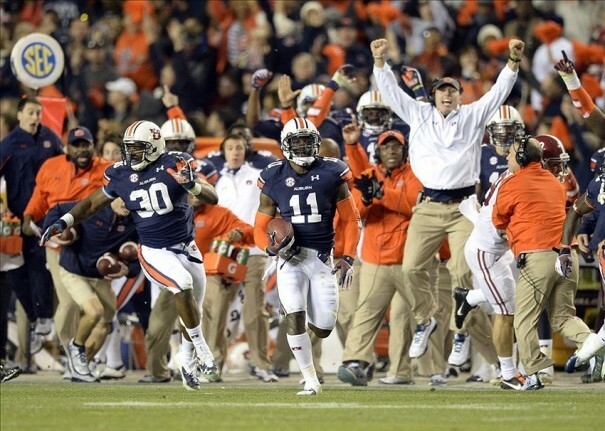 Memory of a lifetime for Auburn fans? Check.